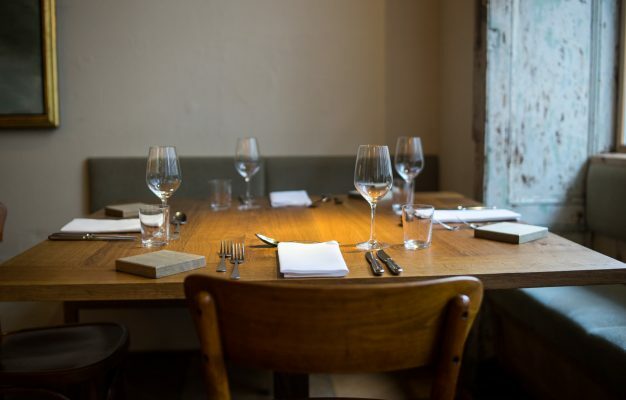 A fine dining experience set in the old gym hall of a former, Jewish girl’s school? 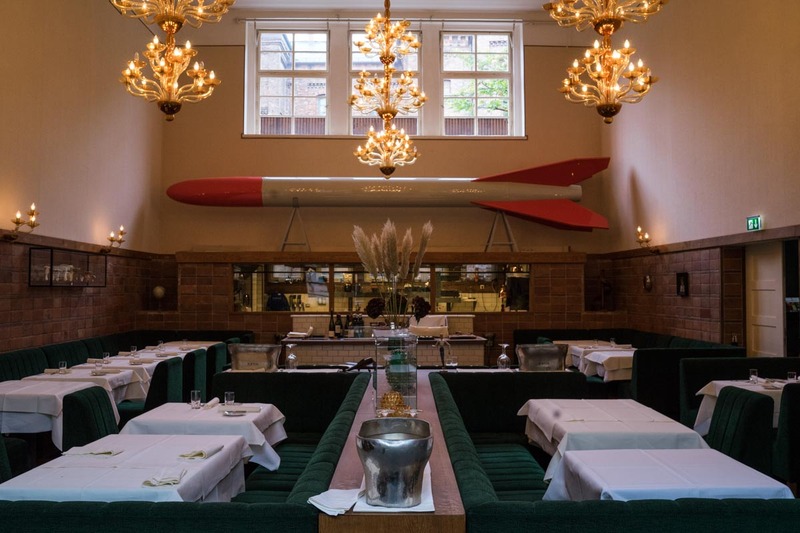 What may sound like a Wes Anderson movie set, is very much a reality at Berlin’s restaurant Pauly Saal. 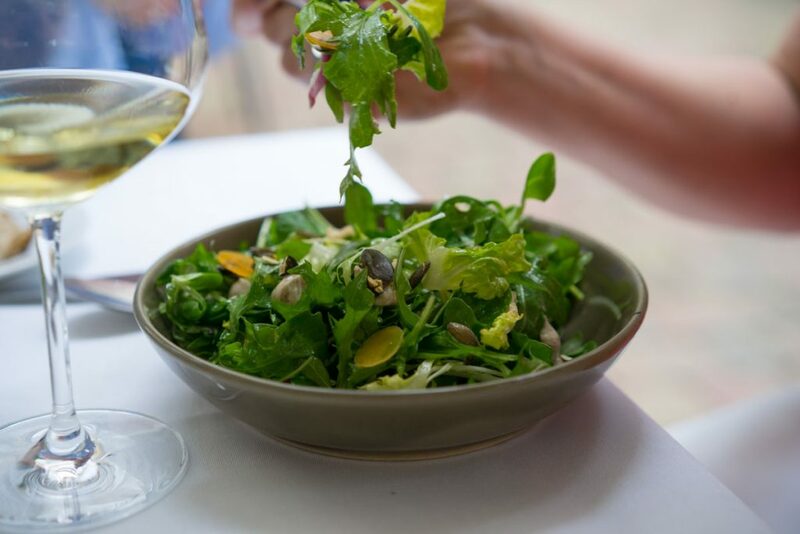 Where once upon a time young pupils ran around sweating and doing cartwheels, you can today enjoy one of Berlin’s most elaborately curated meals. Started by restaurant entrepreneurs Boris Radcun and Stefan Landwehr and their manager Moritz Estermann, Pauly Saal opened its doors in 2012 as the fine dining project in the ever growing portfolio of this restaurant group (other places include Dóttir, Grill Royal and Le Petit Royal). 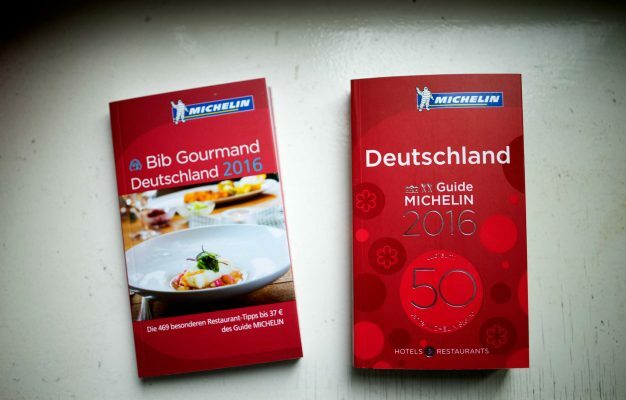 While the restaurant always featured a spectacular venue, the initial food concept during the early years, which focused on refined versions of German and French food, always failed to impress me. The arrival of new head chef Arne Anker in the summer of 2015 very much changed that though and with a new chef in charge, the menu went from dusty and outdated to fresh and cutting edge. This transformation was more than welcome, because this spectacular restaurant venue was, from the beginning, worthy of nothing less than spectacular food. 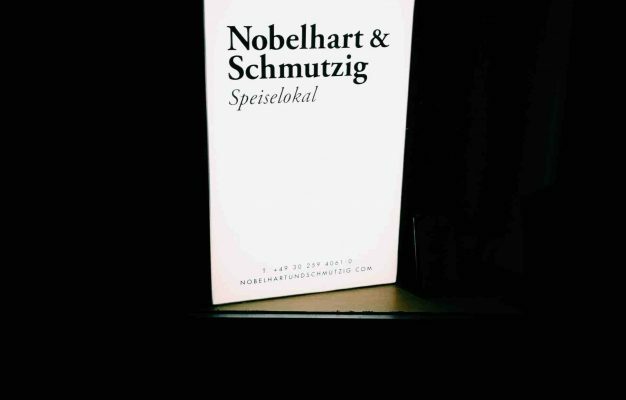 Featuring eight-meter high ceilings, marvellously beautiful comfortable green couches, an integrated glass-cube kitchen in the far end and a massive art piece in the form of a 6 meter rocket that thrones over the kitchen and the whole dining room, this venue easily qualifies as one of the slickest places to eat food in Berlin. 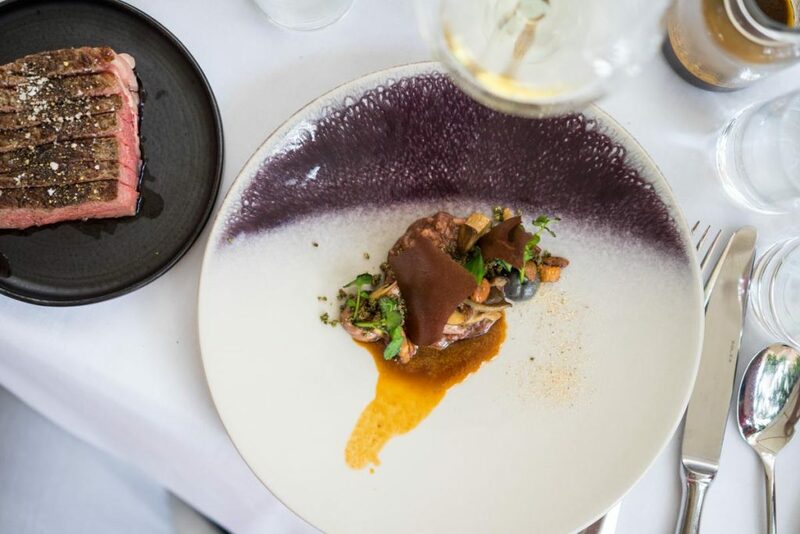 When Chef Anker arrived at Pauly Saal he started steering the kitchen in a direction that would both reflect his North German heritage (born and raised close to Kiel) and the works of his big mentors, such as Sergio Herman. Boiling down to a menu with a strong focus on seafood and vegetables, Anker today sends out dishes from his kitchen that aren’t only visually stunning, but that also showcase a freshness and level of sophistication that both surprises and delights. 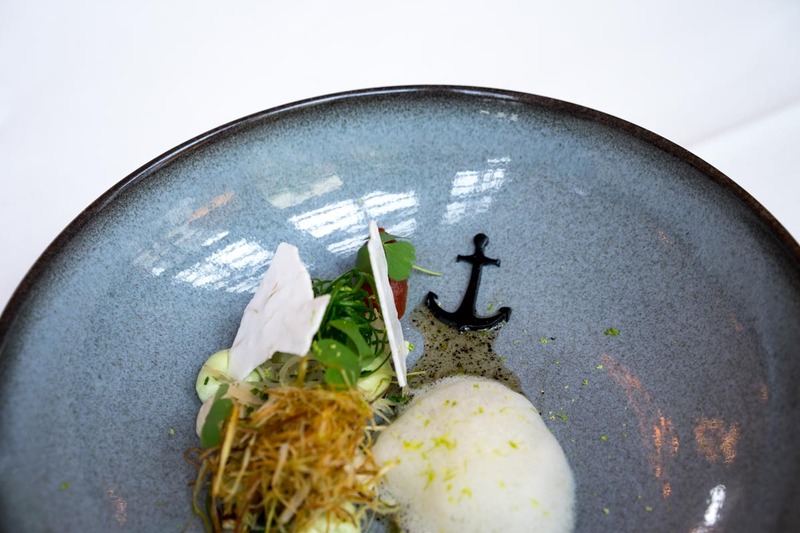 His heritage makes him comfortable with seafood and his culinary upbringing in leading fine dining kitchens across Europe gradually turned him into the culinary avant-garde, acidity artist that he is today. Having worked with Matthias Dieter at Berlin’s First Floor, Anker took the important step out of Germany and ended up at the side of Dutch chef legend Sergio Herman at his former flagship Oude Sluis, which ultimately also led to him supporting the opening of The Jane with Nick Bril. This two year stint in the Herman empire, world famous for the abundant use of acidity in his food, had a profound effect on Anker’s food and is a core foundation of his cooking today. 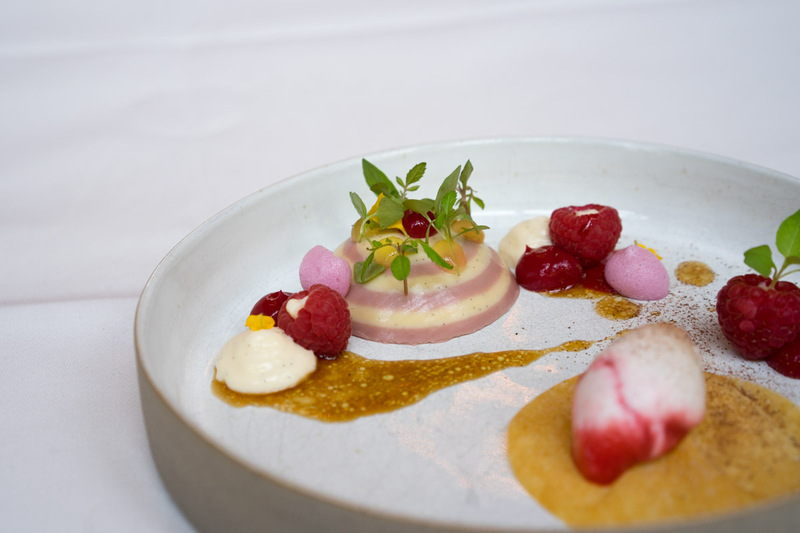 Chef Anker loves to use regional and seasonal produce as a base for his dishes and then to add subtle flavour components from all over the world. 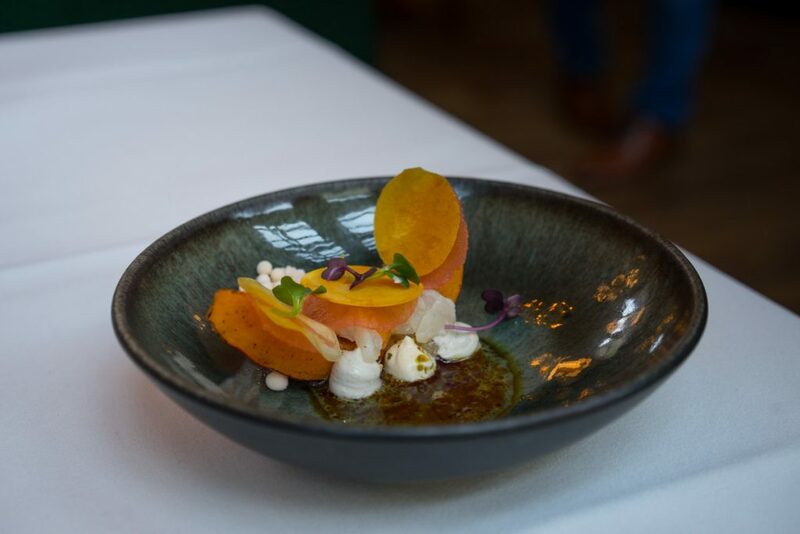 You might find yourself at Pauly Saal eating pumpkin with watermelon, a dish where the braised slice of a Hokkaido pumpkin meets marinated cubes of melon and is garnished with pumpkin seed puffs and paste, star anise curry paste, mushroom paste, melon granita pearls, melon vinaigrette and pumpkin seed oil. All served with a pristine piece of sheatfish. Sounds and looks suspiciously complex and fussy, but ends being a surprisingly light flavour and texture combination. 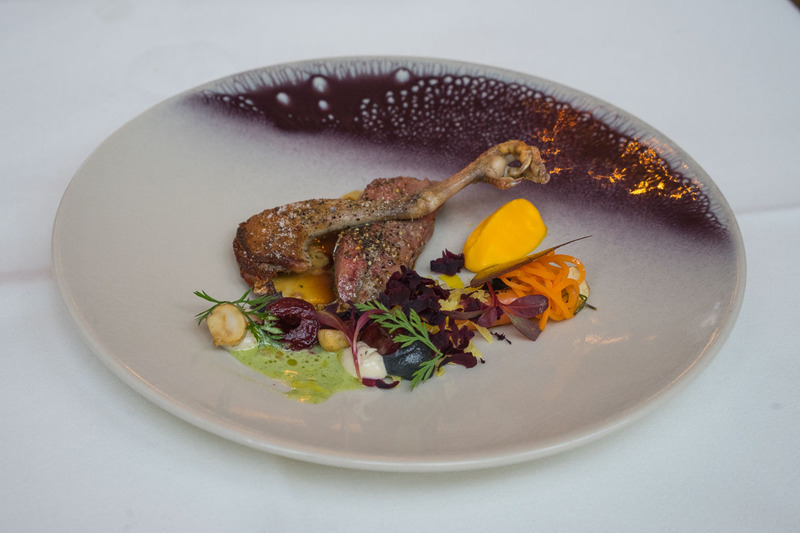 Same goes for a pigeon dish, where the breast and leg are served with a variation of carrots baked in salt crust and also pureed into a cream only to be lightened up with carrot green vinaigrette. mushroom paste, cherries and pigeon jus. And in the end it’s the small details that stick in your memory, the fact that the sauces stay on your table for you to (theoretically…ok I did it) drain your dishes in sauce, or the extraordinary petit fours that end your meal where you will have to look carefully for what is a rock and what not. Although Anker constantly plays with fire by using such an exorbitant amount of components on every plate, he mostly manage to pull it off. 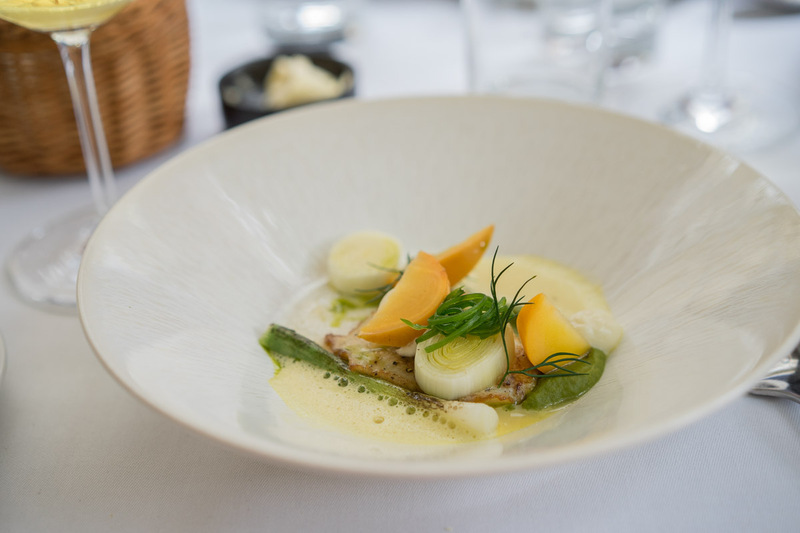 This is especially true for his fish and vegetable creations, dishes that are so delicately crisp that you will feel more refreshed than full. 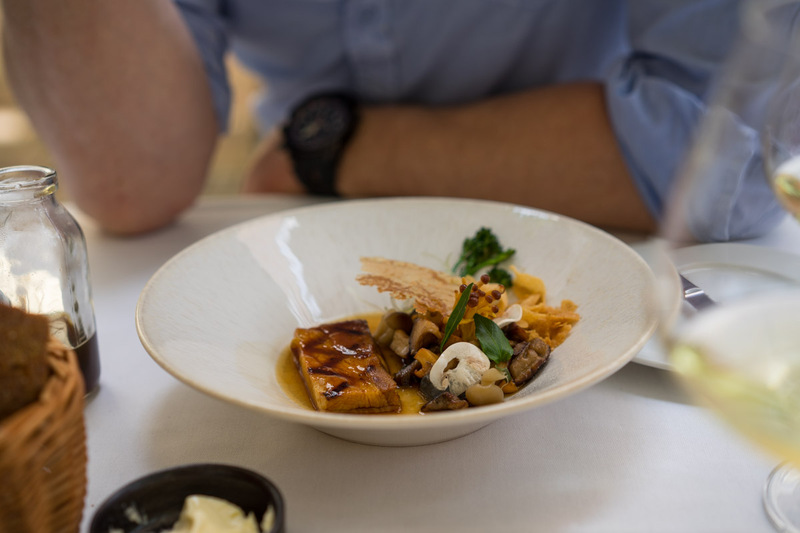 The same thing can’t be said for the meat dishes, here the crispness is often lost in an overly combination of creamy textures and sweeter flavours. 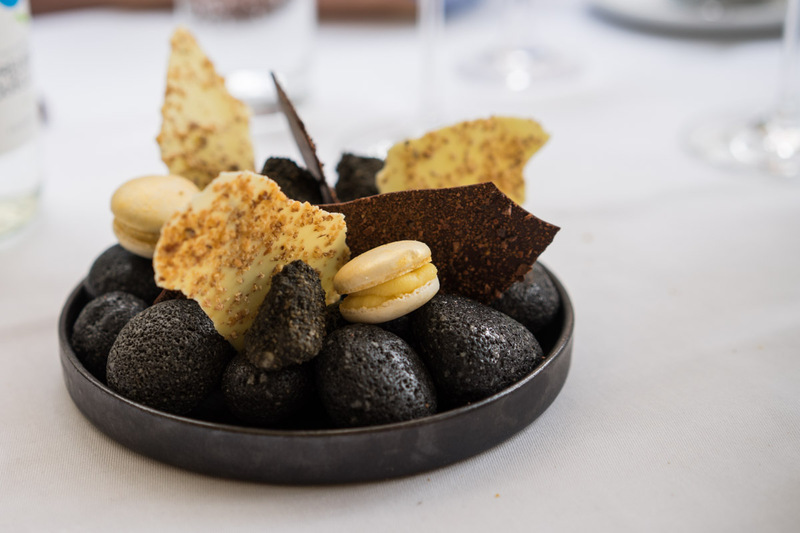 And really, at this point I very much enjoy the food at Pauly Saal, but the dishes that I’ve been head over heels in love with can be counted on one hand. 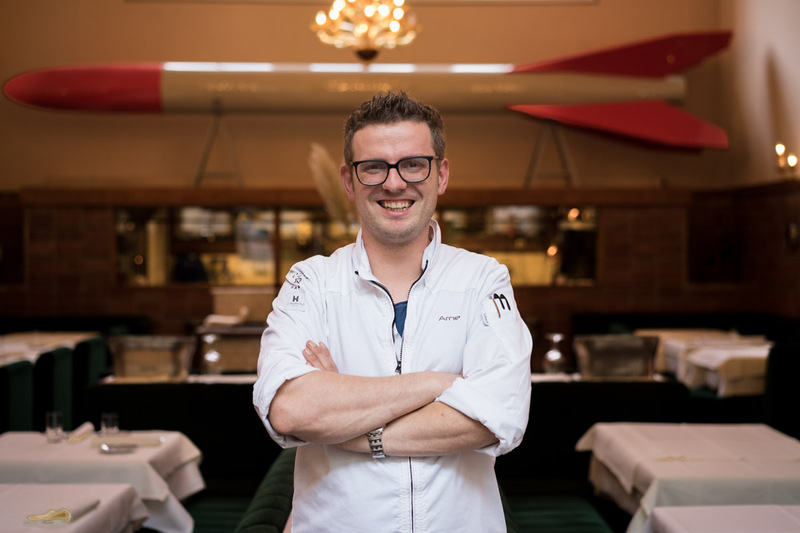 That’s ok though, because Chef Arne Anker is still very much at the beginning of his culinary journey, in his own words he has “not even reached 50% of his capacity” when it comes to the quality of his cooking. The remarkable improvement of his work during the first 17 months of his tenure very much makes me want to support that claim. 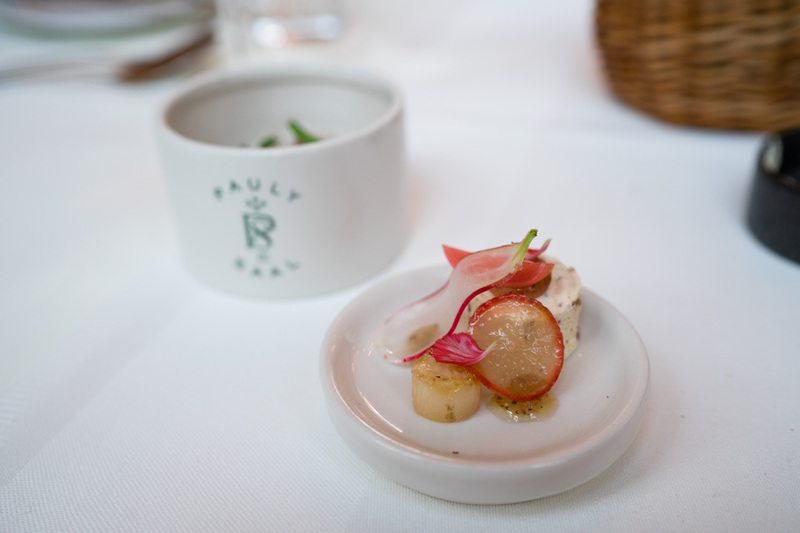 If you dine at Pauly Saal and focus your selection on seafood and vegetable dishes, the accompanying pleasure of flawless fine dining service and great wines (focus on old world classics) in this killer location (remarkable well executed sound buffering btw) will get you a great and cutting edge fine dining experience that seeks its counterpart in Berlin. My personal recommendation: The great value-for-money lunch menu and the connected cocktail bar. two were announced visits and I wasn’t able to pay for one of them.